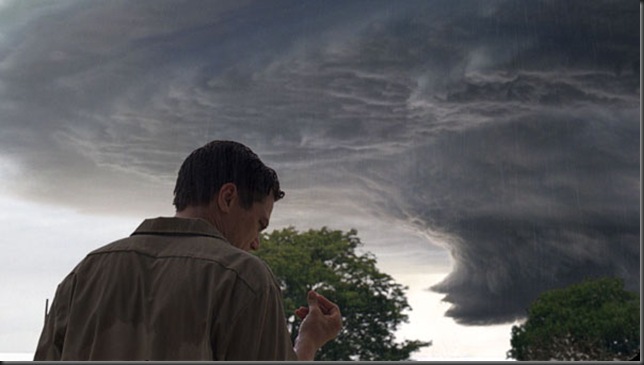 It's rather appropriate to call Take Shelter a zeitgeist film, something that encapsulates the current state of society today. 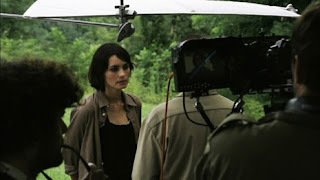 Using film a medium, Jeff Nichols has taken that idea and crafted it into a disturbing domestic drama about the fracturing and reconciliation of the family unit. Nichols's last film Shotgun Stories was a realistic portrait of violence among families in a small southern town; Take Shelter gives you way more to chew on, as its take on our national anxiety disorder is frightening and concise. We're back again, this time reviewing two films from Joel and Ethan Coen, the best directing duo in all of Hollwood. Derin also offers some insight from the Philly Film Festival. Joined by Deepayan Sengupta, Tom Stoup, and Derin Spector. Here's a stand-alone link. What's better than a Lars von Trier/Ryan Gosling duo? Well, nothing really. We're back this week reviewing the Danish auteur's latest work "Melancholia," as well as the new political thriller "The Ides of March." Joined by Deepayan Sengupta, Derin Spector, and Tom Stoup. Listen to Episode # 24. So many Altman films to choose from, but we settled on "The Long Goodbye," and "Gosford Park," for our Altman special. After the Altman discussion, Tom and I shared our utter disdain for Jonathan Levine's new film "50/50." Joined by Tom Stoup and Deepayan Sengupta. Here's a non-iTunes link. We're back this week with a review of Bennett Miller's "Moneyball," and our top 5 most anticipated films for the rest of the year. Joined by the usual guests. Here's a non-iTunes link, enjoy. The underlying crux of what makes Drive so appealing is the film's synergistic and swooning texture that sets in during the first few minutes and never lets up. What is Drive? Yes, on the surface it's a crime picture about a man with a code. 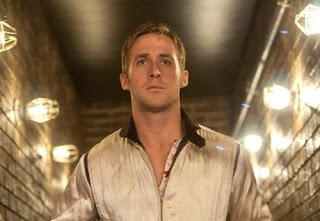 The driver, played by the chameleon like Ryan Gosling, perhaps Hollywood's prettiest face, is launched into a vortex of violence after his stoic nature is invaded upon by outside forces. Leave it to Danish born filmmaker Nicolas Winding Refn to infringe upon the genre's most familiar tropes and expand upon them with his own artistic and assured touch. There is this penetrating sense of calmness that surrounds the film, a wave of beauty and muted romance that lets us know this is the EXACT film that Refn wanted to make. For me, the film represents some sort of pop song that lingers in the mind, its beats and rhythms so catchy and affluent, as to envelop the viewer into the best cinematic high. Refn is clearly influenced by the likes of Michael Mann and others, portraying an urban landscape in the most fitting sense. The juxtaposition of this loner played by Gosling and Refn's doom and gloom aesthetic is so skillfully mastered that audience members not familiar with Refn will be able to pinpoint the director's Euro sensibilities that are littered throughout the film. After a smooth and extremely telling opening bit, we learn all we need to know about our protagonist. When not operating as a Hollywood stunt performer, Driver moonlights as a wheelman for various criminals in town, offering his services for 5 minutes before he leaves the scene in the blink of an eye. The rest of the first act is about the breezy possibility of romance between Driver and his neighbor Irene, played by Carey Mulligan. The dynamic between Gosling and Mulligan works so well because they're both portraying so much through body language, the film is purposefully short on expository dialogue for this very reason, Refn has no problem letting Gosling and Mulligan do their thing. Gosling brings a sort of pathos to this role, something much different from some of his prior roles. Things get complicated when Irene's ex-con husband played by Oscar Isaac returns home. Driver endangers his own code after he willingly involves himself in Oscar's dilemma. This is when Drive kicks itself into another gear, unflinchingly delving headfirst into multiple outbursts of violence. Adding to the film's moody quality is the intoxicating score from Cliff Martinez. Blending 80's tunes to the already transfixing narrative is one of the film's best aspects. The supporting cast is having a ton of fun here. Albert Brooks and Ron Perlman as two menacing and seedy gangsters might feel trite and familiar, but both are expanding on their usual shtick and gleefully hamming it up. Unlike most mainstream action films, Drive's pension for bloodshed is earned in that it displays a change in Driver's psyche and cause. Refn's uber-stylized approach may be too over-the-top for some, but in the world of Drive, it all fits like a glove.